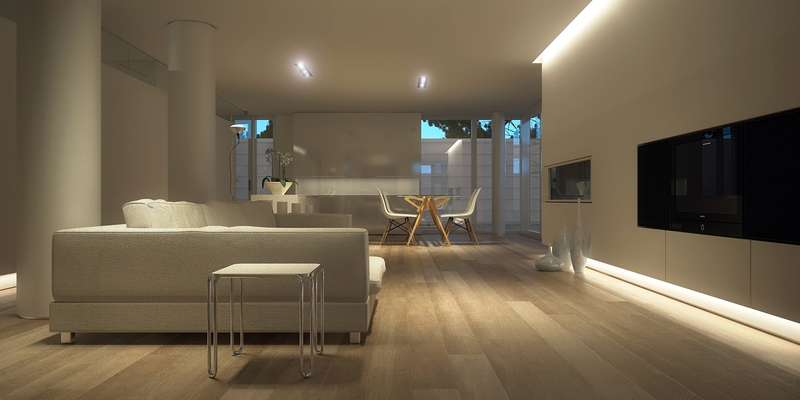 The endless march of technological innovation has led to a paradigm shift in the lighting industry. Changes in technology and the approach of a digital reality has made LED lights a mainstay of modern building design and construction. Although once they came at a cost too high for many residential and commercial buildings, long-lasting LED lights are now embraced as part of the foundational framework for “smart” platforms. As a leading LED manufacturer in the UAE, we have seen how LED lights have become a catalyst in enabling homes, buildings and cities to increase a variety of lighting options while maximizing energy efficiency and comfort. The technology found in today’s LED lights enables smart platforms to intelligently control their environments — adjusting according to ambient and human behavior, furthering efficient light energy usage and consumption. Here are some other ways that LED lighting is impacting building strategies. When designing buildings, luminaires are often outfitted with uncontrolled light sources, producing discontinuities in illumination and hot spots throughout the application design. LED lighting eliminates uncontrolled light, increasing light uniformity throughout the lighting design. LED lights offer unprecedented optical control, allowing for commercial buildings to implement unique color displays and special ceremony lighting. LED lights afford variations in patterns, images, messages and, of course, color to render architectural features with beautifully illuminated accents. Dynamic art installations, support of solidarity, and the annual Lightfair International event are just some examples of how LED lights contribute to improvements in light design. With proper care and maintenance, LED lights such as LED tri-proof lights can experience an exceptionally long operating life. In a properly designed luminaire, LEDs can be expected to operate for more than 100,000 hours. Certain factors, of course, will determine the complete lifecycle of an LED light source such as fixture design, desired lumens output, and ambient operating and junction temperature. The extended operating life of LED bulbs means commercial buildings can increase the usable space throughout their building design. With LED lights having a longer life cycle than previous light sources, commercial buildings are not required to extensively stock spare bulbs or accommodate maintenance for light fixtures. This warrants extra storage space for other maintenance requirements and drastically reduces maintenance inefficiencies, freeing staff to focus on required tasks. The ever-growing adoption of LED lights in residential and commercial properties has contributed substantially to the cost price of an LED bulb. Buildings that are designed with LED in mind have seen a reduction not only in monthly utility costs, but also overall budgeting requirements and expenditures. The longevity, energy-savings efficiency, and low maintenance requirements of LEDs translate to savings that can be used towards increasing the quality of other construction material. Another added benefit of utilizing LED lights in building design would be the current utility rebates. Programs outlined by local governments and utility companies increase the incentive to implement LED lights into a building’s design. While the initial investment to employ LED lights remains high, the number of tax rebates and incentives greatly outweigh the overall cost. Whenever a light fixture requires relamping, costs must be considered for the required labor, replacement bulb and disposal costs. Whenever maintenance is required to change a luminaire, there is a potential risk of injury or a fall. And with falls listed as one of the top 10 workplace safety risks and injuries, your insurance premiums could experience a financial hit. The long operating life of LED lights minimizes the requirements to replace light fixtures frequently. They also save on the additional expense of disposal fees. Certain light fixtures, such as CFLs, require proper disposal, which can come at a cost when factored in your facilities lighting requirements and operating costs. LEDs, on the other hand, can be recycled through normal channels, reducing the need for added fees when relamping fixtures. In the commercial sector, despite the industry, lighting plays a key role. In retail settings, the right luminaries can yield financial benefits beyond reducing the cost of energy. In healthcare, lights can contribute to improvements in patient healing. In other commercial settings, lights boost performance and productivity, increasing ROI. The light quality afforded by LEDs will also contribute to minimizing disruptions to a worker’s health and well-being. Other light sources such as the old incandescent or fluorescent lights can flicker, inducing eye strains and headaches. And with employee health contributing to a company’s overall financial performance, installing LEDs is a proactive action to protect from lost productivity, increased healthcare costs, and required time off due to illness. LEDs experience no restrike delays and reach maximum light output instantaneously, addressing these detrimental effects on employee health. This can be advantageous as companies with better health-focused office cultures reduce employee turnover while improving morale and productivity. As cities look to initiate more technologically smart platforms throughout both residential and commercial sectors, LEDs will play a crucial role in this intelligent transformation. Introducing LED lighting to a building’s construction may seem like a small design change, but carries with it a significant impact. The initial costs of LED light fixtures may be a substantial investment, but it is an important investment in the pursuit of innovation and sustainability. Make an enquiry if you’re looking for LED lighting for your project.